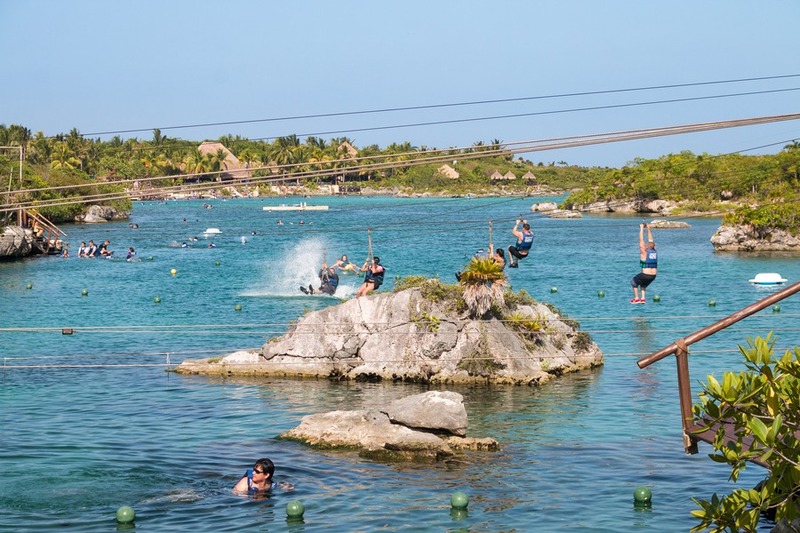 Home » Destinations » Mexico » Which Mexican Adventure Park Are You? My husband loves to relax. I’d rather go, go, go with things to do around every corner. My daughter adores white-knuckle adventure. And my son, well, he’s smart, and enjoys an intellectual challenge. 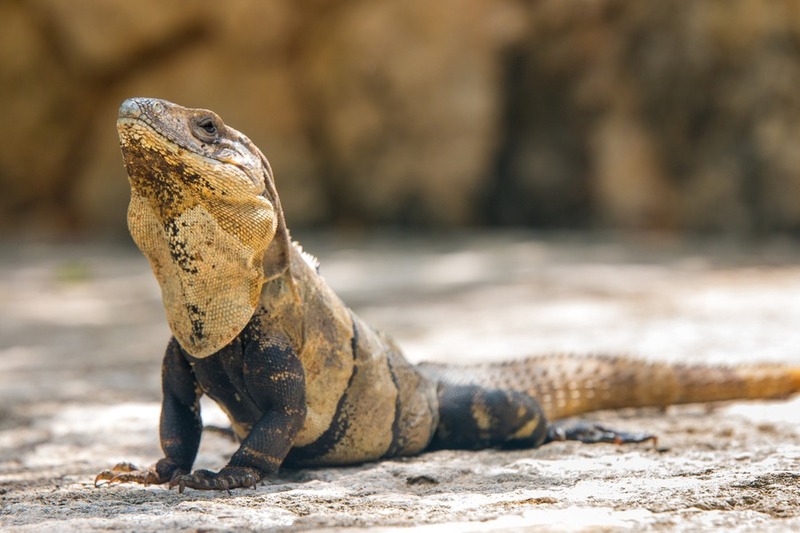 What does that mean for your family vacation in Mexico? 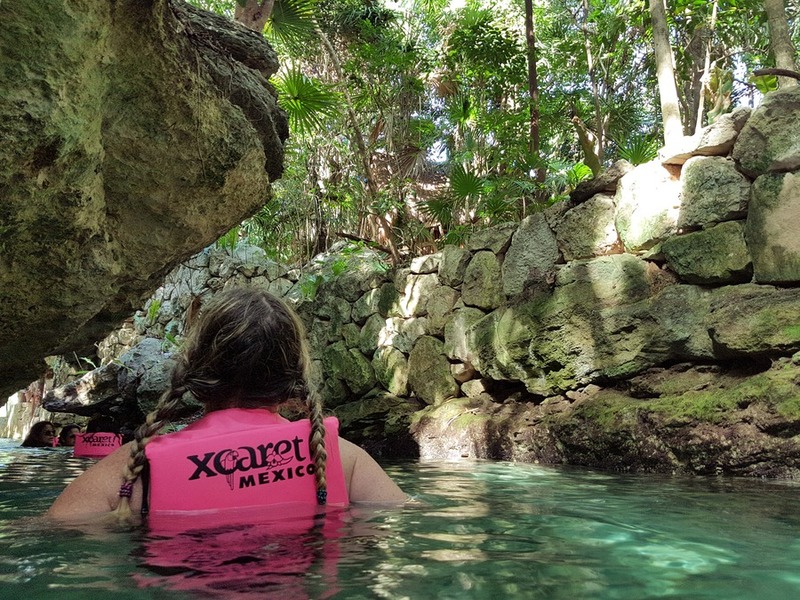 A trip to the Riviera Maya is not complete without a visit to at least one Experiencias Xcaret park. 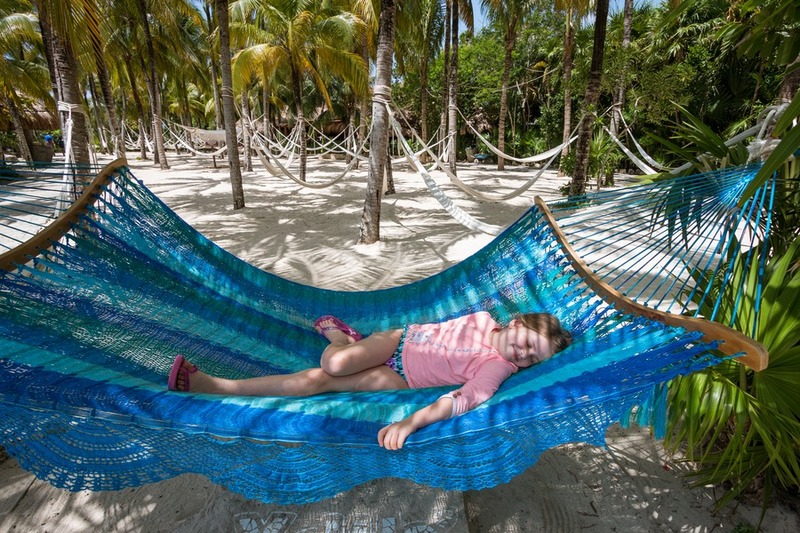 And whichever style of vacation floats your boat the folks at Experiencias Xcaret have a park for you. 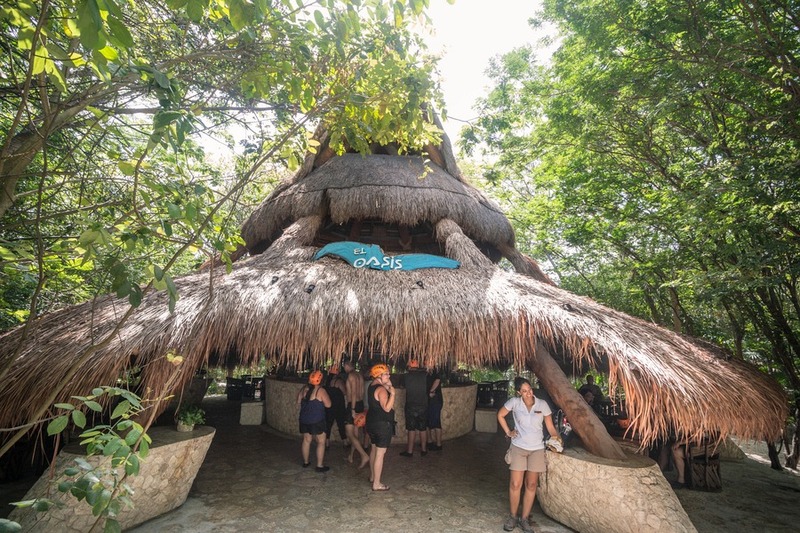 We were lucky enough to experience 4 of their unforgettable adventure & eco parks situated along the Caribbean coast near Cancun and Playa Del Carmen. 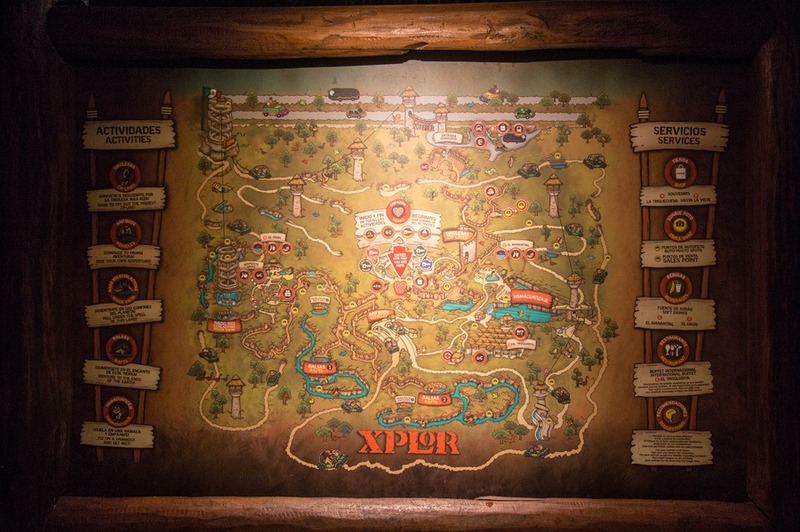 So I’ve done the hard work and figured out which park will suit you best. Save up to 15% on entry ticket prices. See bottom of article for more details. 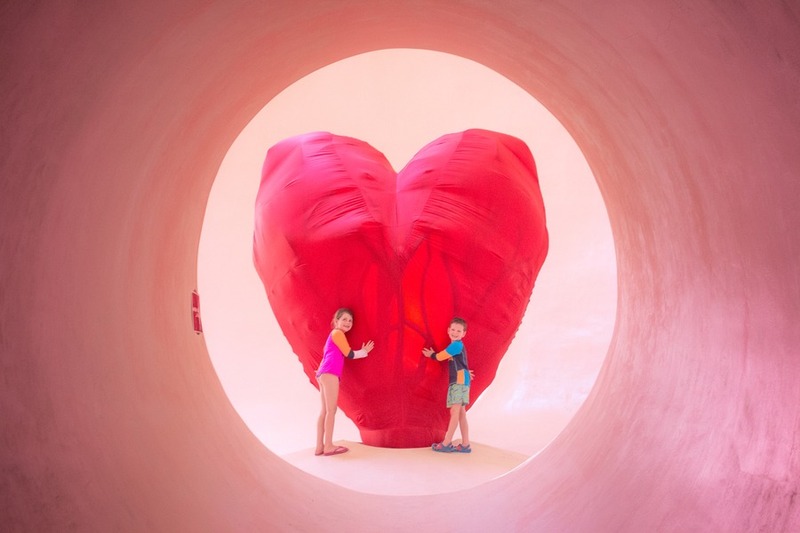 If you have younger kids, then this park is going to be an instant winner. 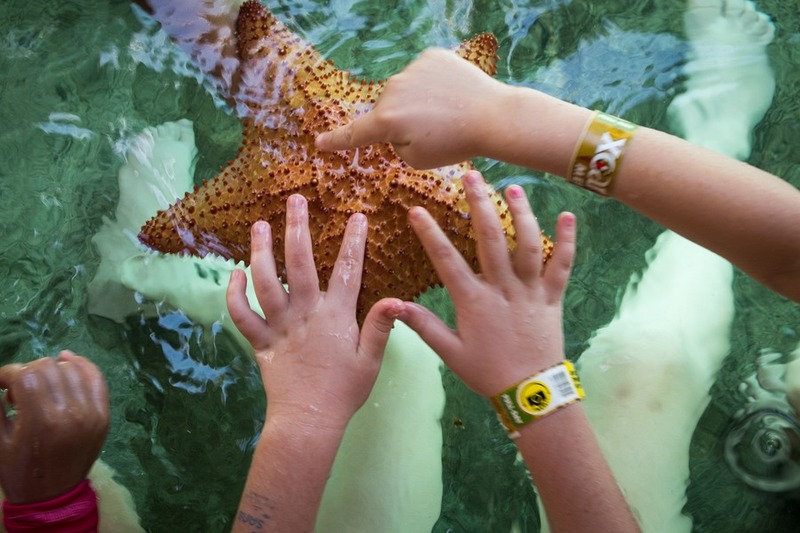 With more than 40 attractions for all ages it’s ideal for both young and the young at heart. 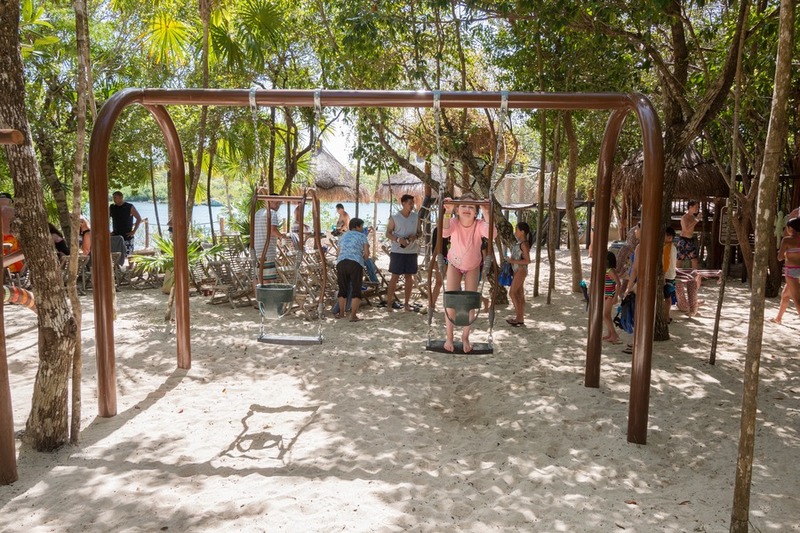 We wrote a detailed post about this park back in 2013 when our kids were 2 and 3 years old, but now at 6 and 7, we had just as much fun. Plus, there were several new exhibits. 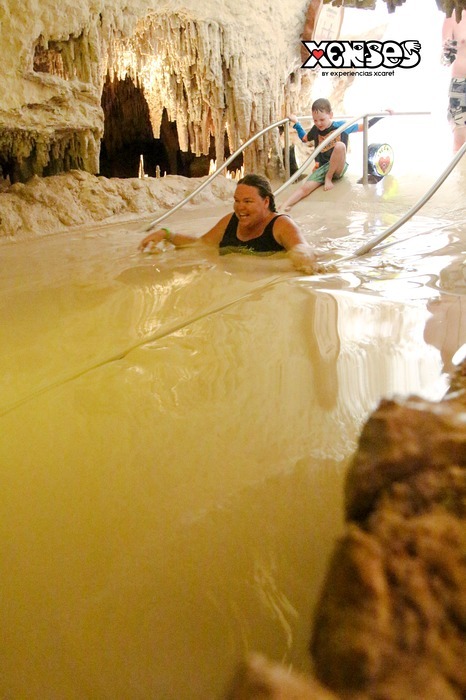 Underground rivers – Swim through caves and tropical jungle exploring an ancient Mayan world. Life jackets are provided but I recommend bringing your own water shoes. We recorded a Facebook Live video of the experience (see part 1, 2, 3). 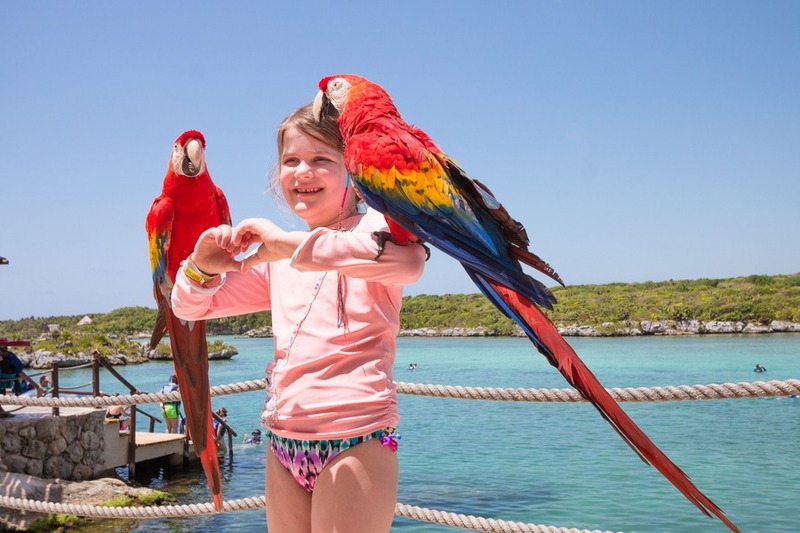 Featured animal – Whether it’s witnessing the black jaguar, giggling at flying butterflies or signing up for a touch-and-swim experience with the stingrays, your kids will love the variety of wildlife and sea life found within the park. 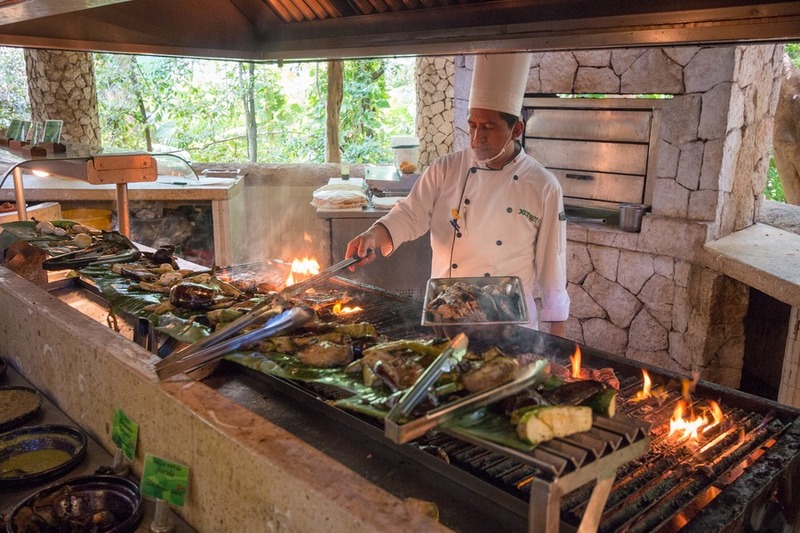 Mayan tradition – Onsite are Mayan ruins, Mexican folk art, musicians, traditional Hacienda Henequenera and the Chapel of Guadalupe. 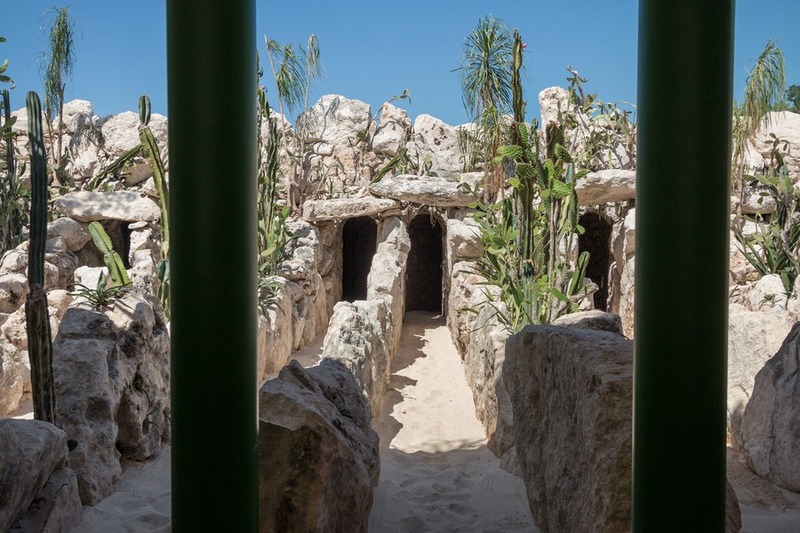 Learn more about what makes this region’s modern and ancient culture so fascinating. 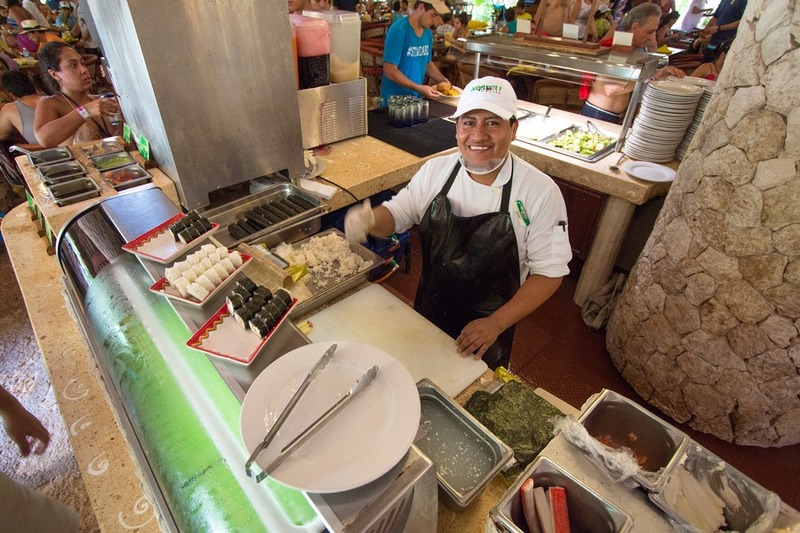 Yummy food – Buy an all-inclusive pass and eat your way through Xcaret. 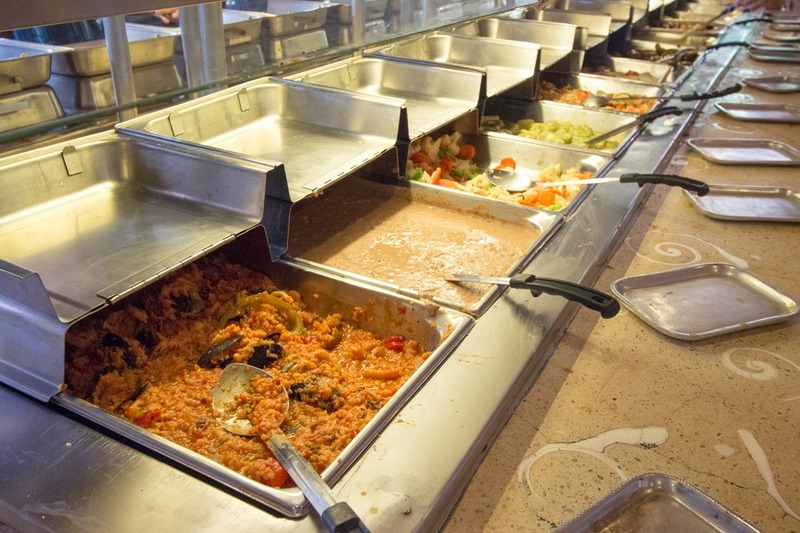 Whether it’s a stop at a traditional tortilla hut or lunch at the international buffet you won’t go hungry. 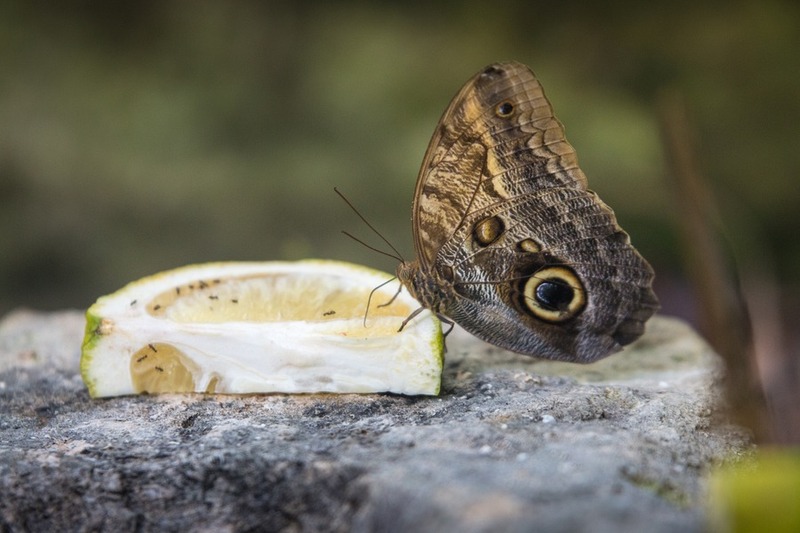 Oh, make sure you ask the sushi chef for the house speciality – apple sushi! Tip: Only biodegradable sunscreen is allowed into the park. 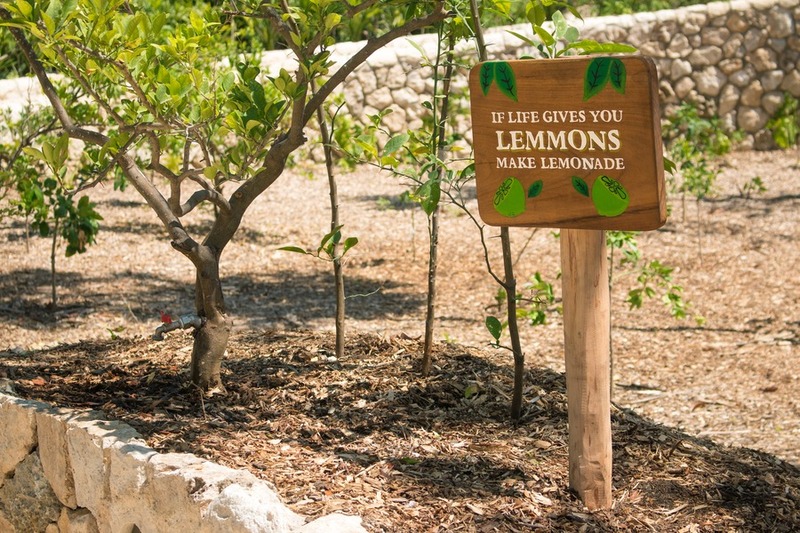 You can hand over your own regular sunscreen at the entrance and receive sample packets to try in return. You can also buy biodegradable sunscreen at the gift store inside. 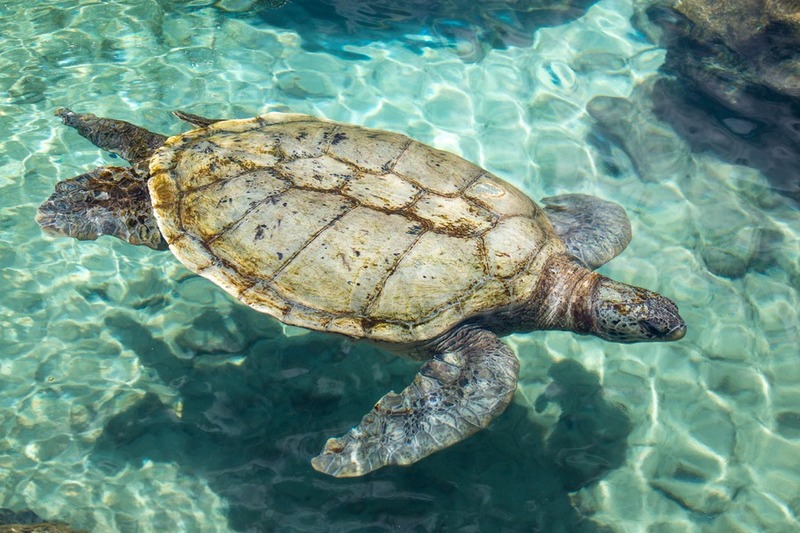 It’s vitally important to keep the coral reefs free of potentially toxic chemicals, so please be sure to bring the right bottle. 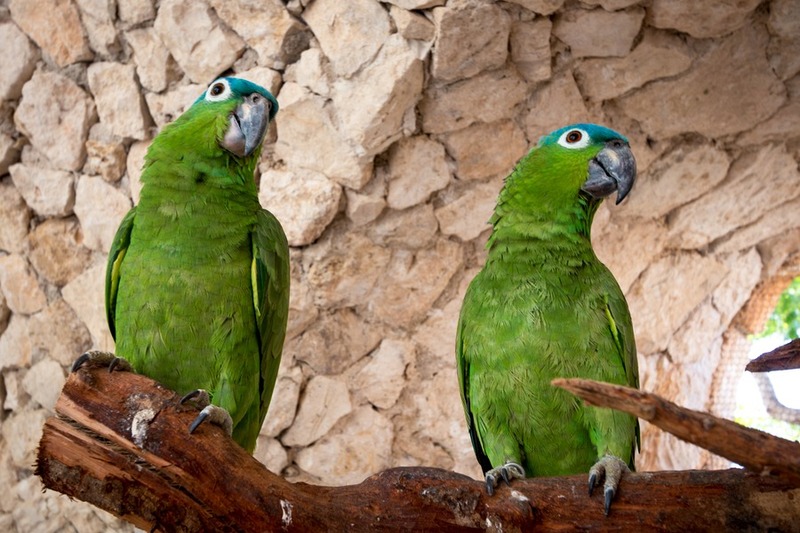 Your days of laying on a Caribbean beach or sipping cocktails by the pool have started to blur together and you can’t stand it anymore? 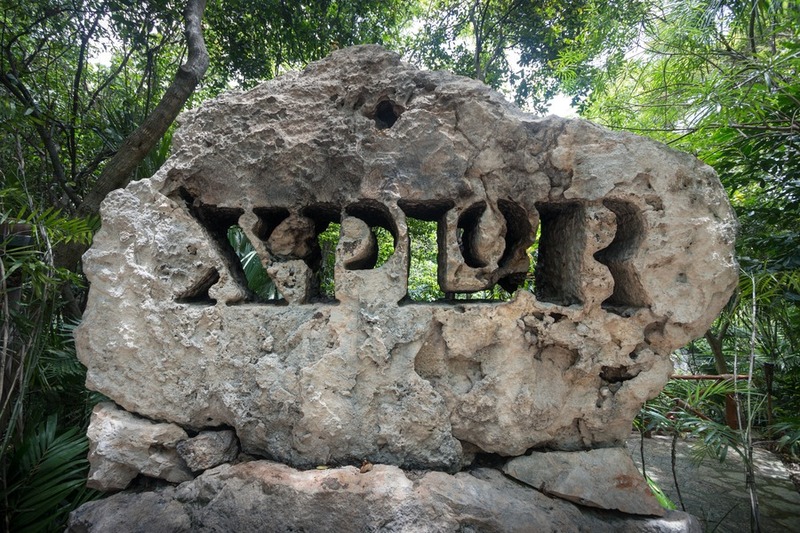 Enter Xplor, our family’s new favourite eco park. 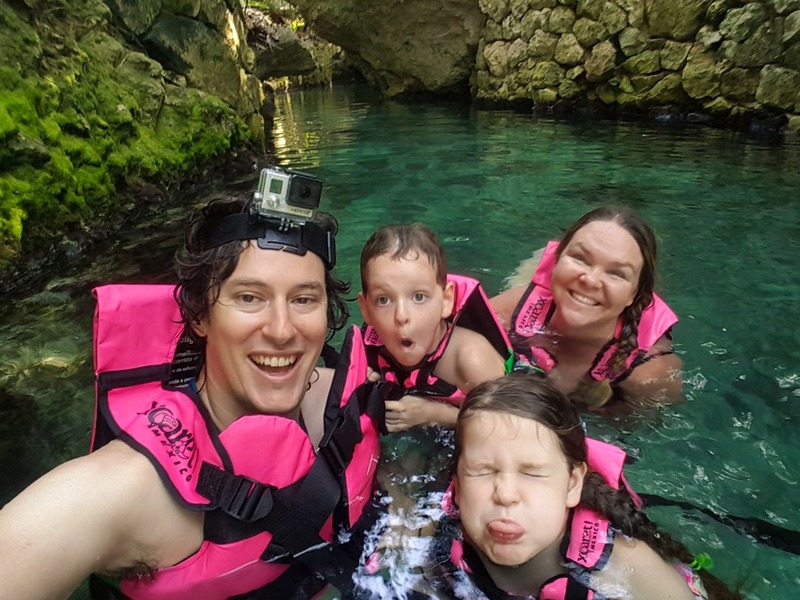 Here we zip-lined through waterfalls, into caves and splashed into beautiful cenotes. There are two zip circuits made up of 7 lines each. 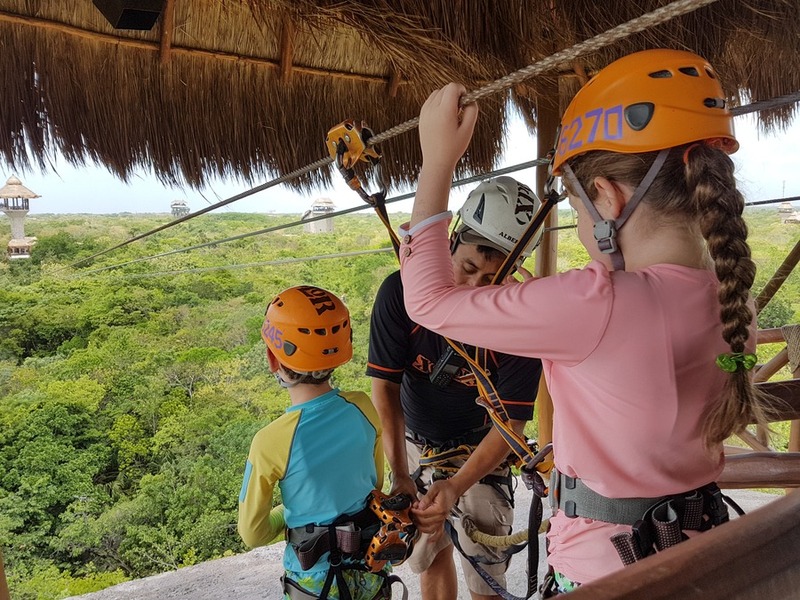 While there are height and weight limits, our kids were allowed to ride together on some of the zip lines to ensure minimum weight requirements. 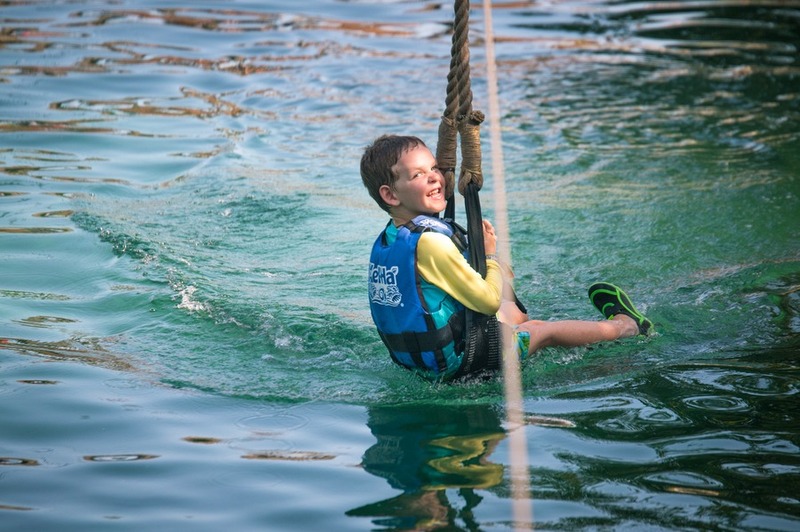 We absolutely loved those zip lines! 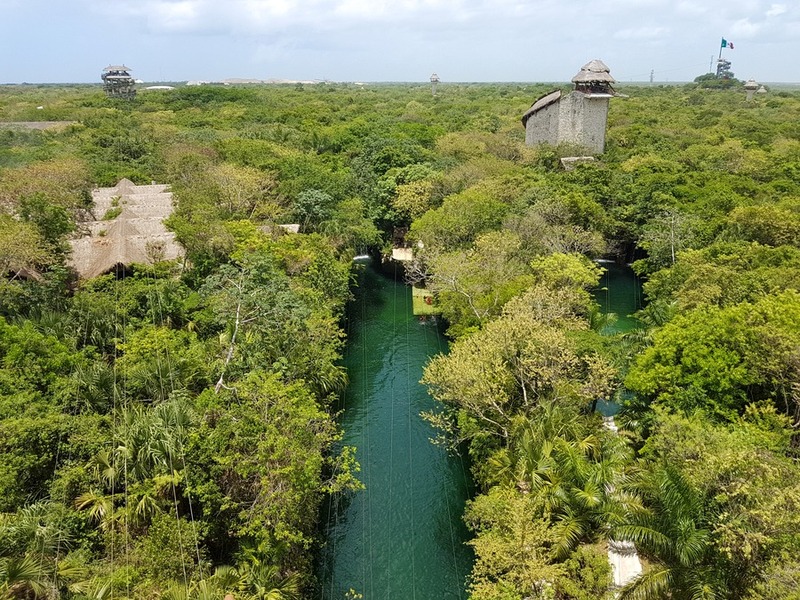 The views were incredible and the adrenalin rush from zipping into a freshwater cenote is incredible. Mia’s favourite attraction hands-down was the hammock zip line. 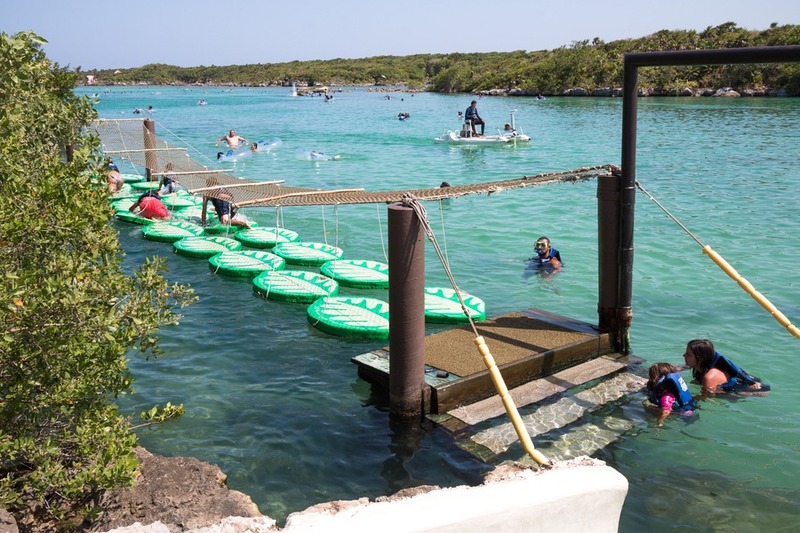 Simply sit in a hammock attached to a zip line and fly down into a river. We loved it so much, we went back several times. 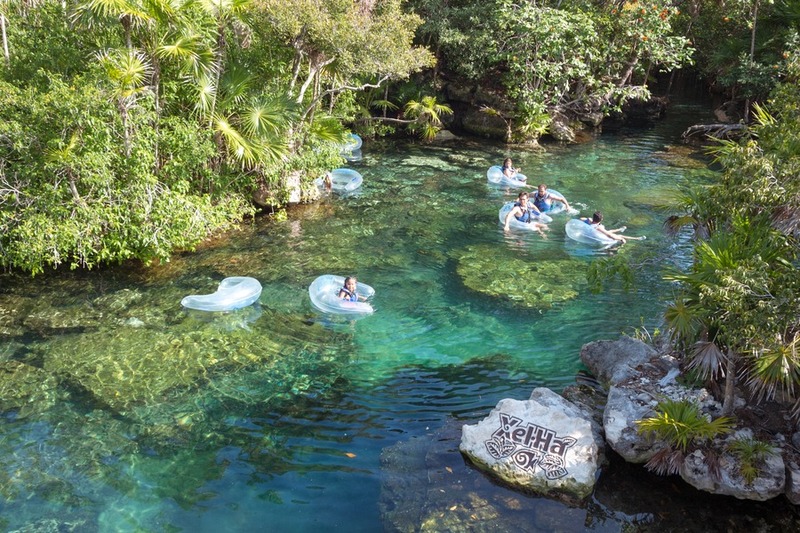 You’ll also get to drive 6.2 miles in an amphibious vehicle across the rugged jungle, through dark caves and across underground rivers. See what it’s like - watch our Facebook Live video. 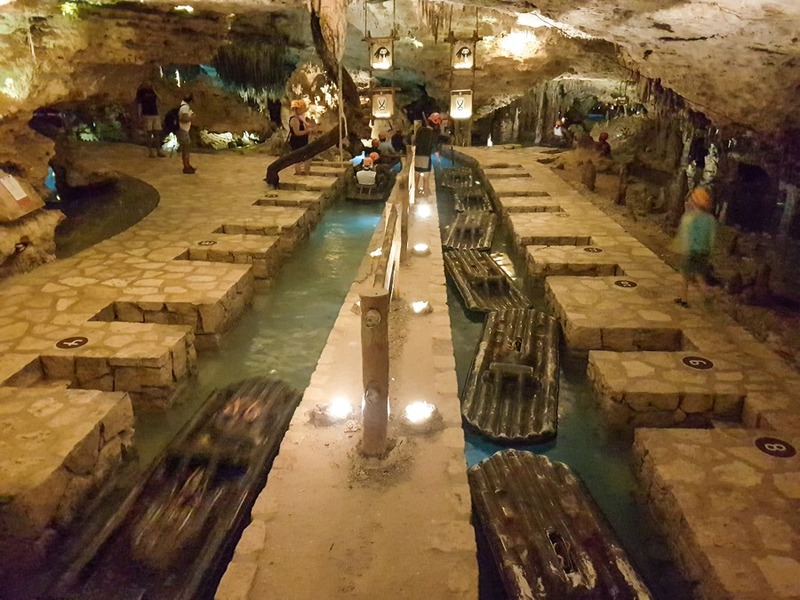 If you have time check out the two different river circuits that you can paddle down on rafts. 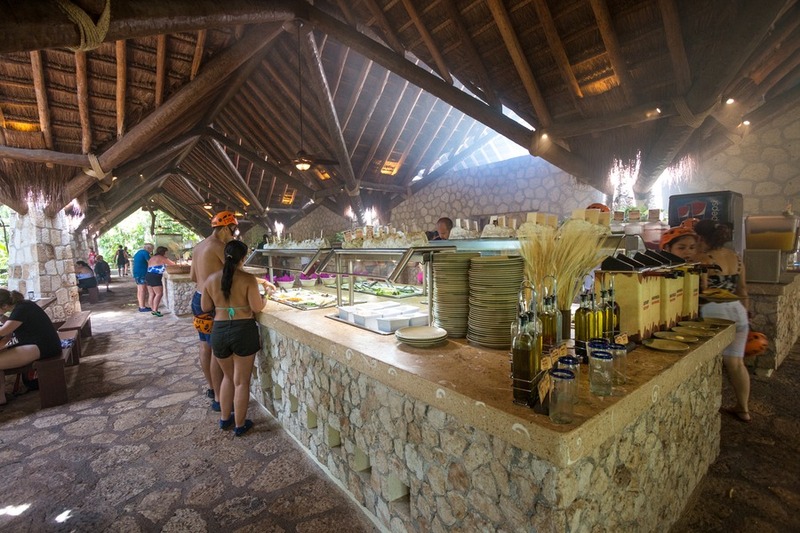 Oh, and did I mention entry to Xplor includes an international buffet? And this food is good! 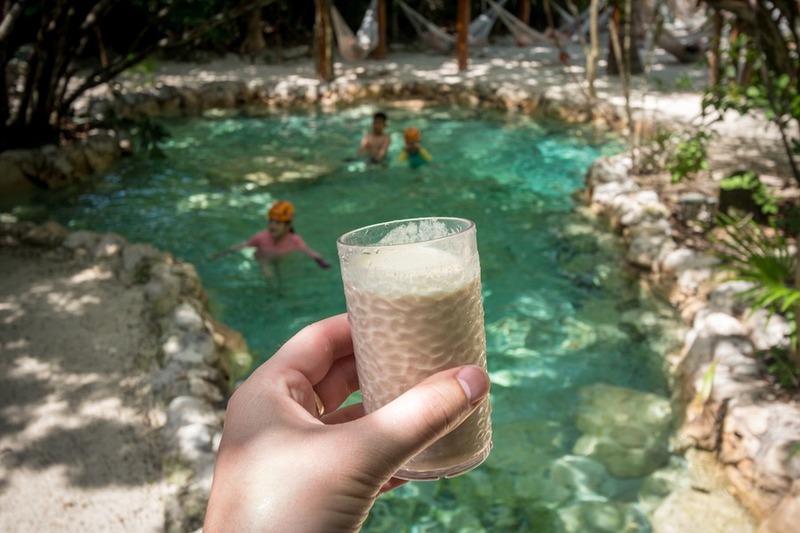 On top of that you’ll also find a refreshing smoothie station outside the swimming circuit – it really hits the spot after a couple hours of splashing around. 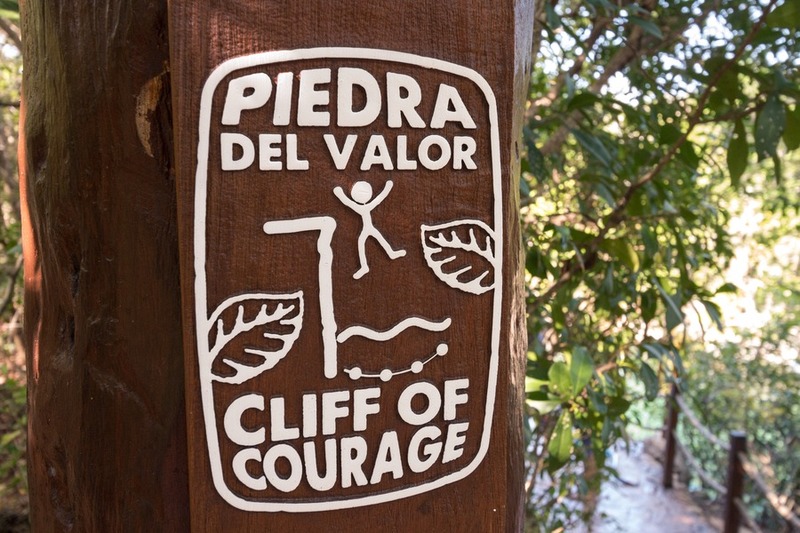 Is all that adventure just too much? I mean, you came to Mexico to sit by a beach and enjoy yourself, right? 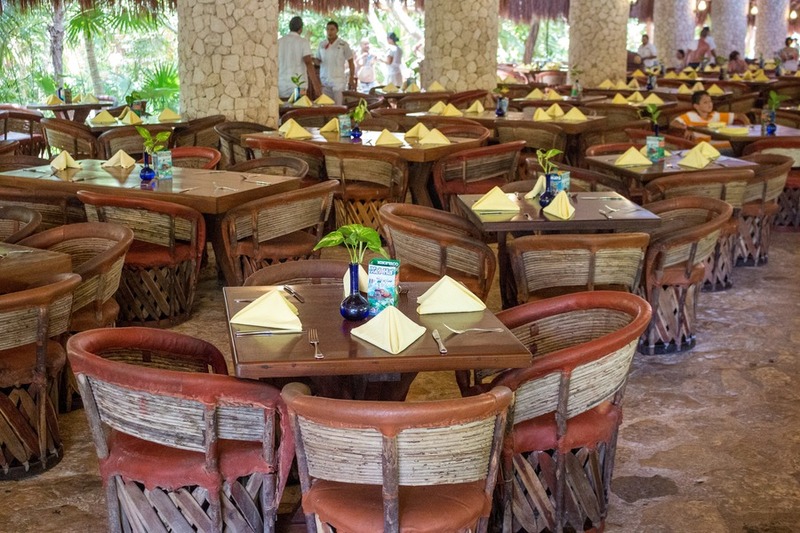 Then Xel-Ha sets the pace for you. 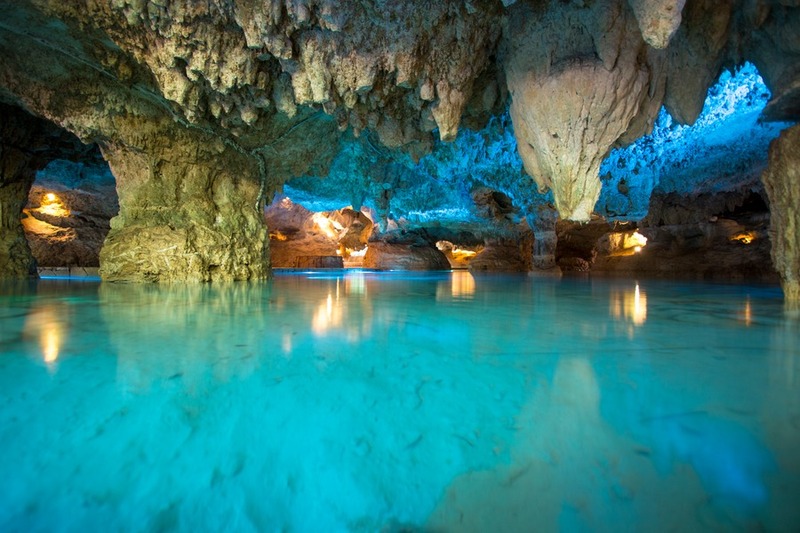 The site sits at the point where underground rivers meet the Caribbean Sea. 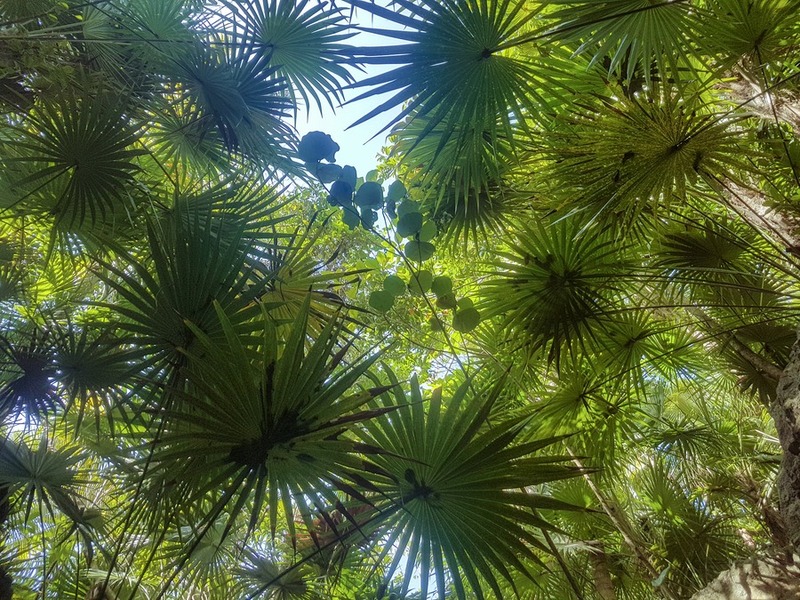 You get the views, the warm water and lush jungle ripe for exploring. Our first port of call was taking a tram upriver to the start of the tubing ride. 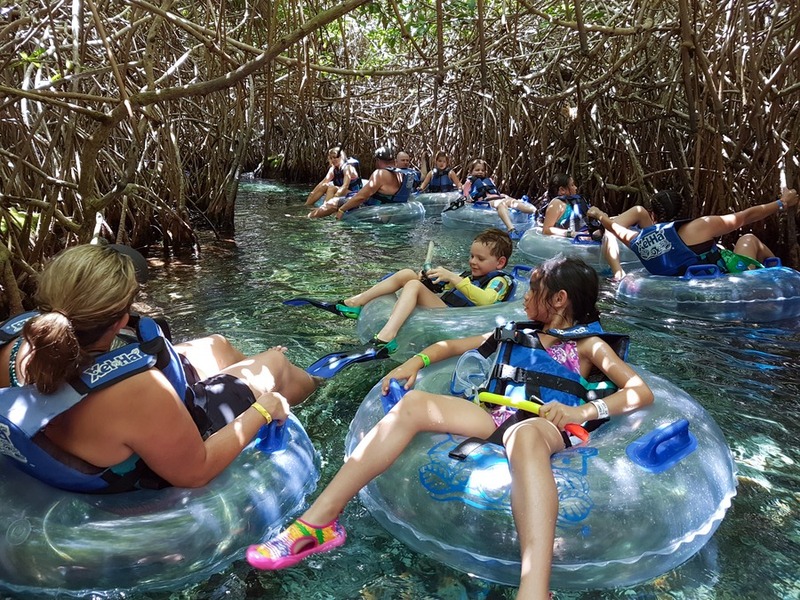 We grabbed a couple one-person and two-person tubes and floated through the mangroves out into the open river. 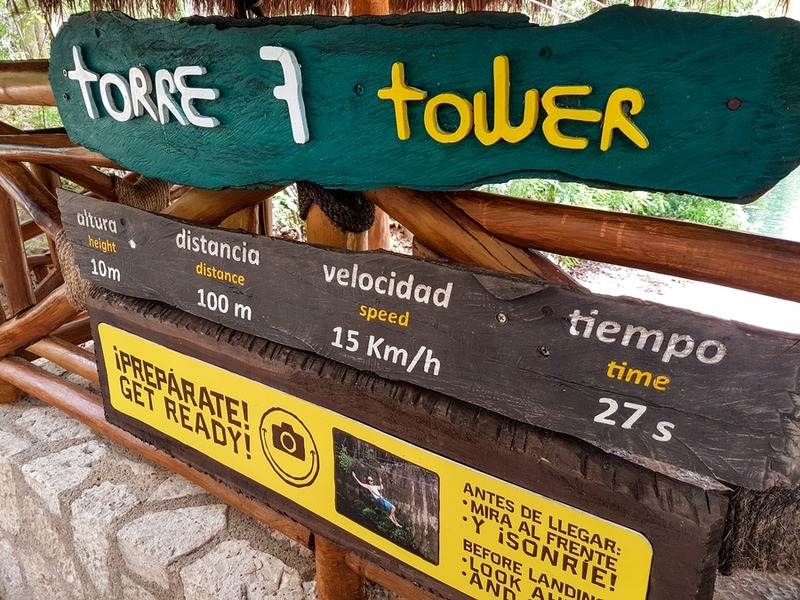 There are numerous stops along the way offering different activities such as: zip lining, Cliff of Courage (jump 5 metres into the clear waters below), a playground or take the mini waterslide back into the river. 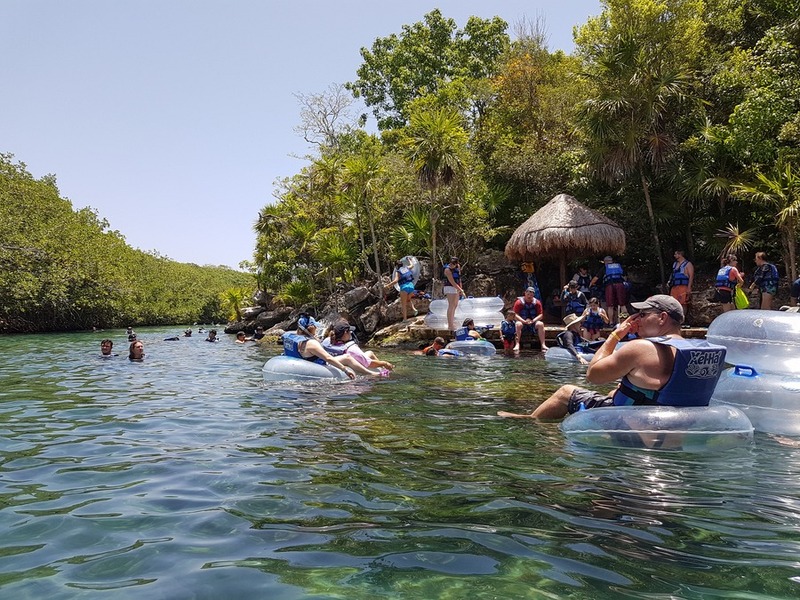 The whole day can be spent relaxing, floating down the river, snorkelling, putting your feet up by the water’s edge, or doing as many other activities as you like. 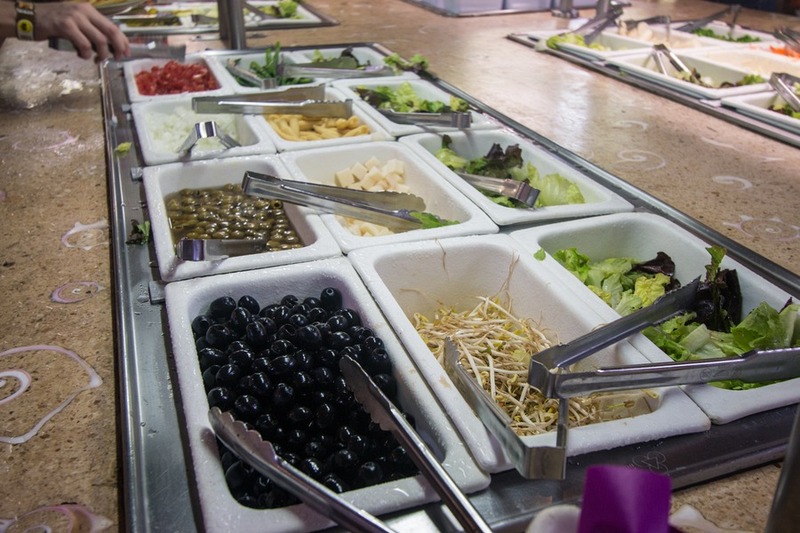 We enjoyed the on-site buffet lunch as well. It’s not as big as the other two parks, but the cocktails are delicious. 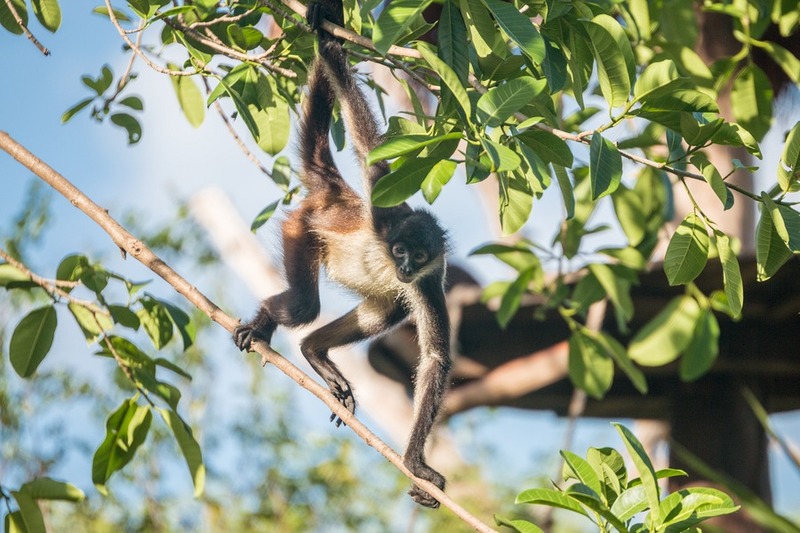 Also take a walk through the jungle (around the south side of the park) and swim into a cenote or try the rope swing. 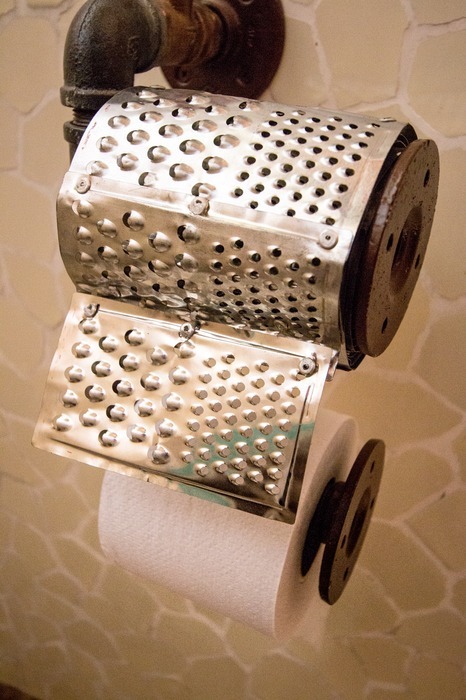 Tip: Towels are available to hire for free, so don’t worry about bringing one. Brand new on the scene is Xenses. 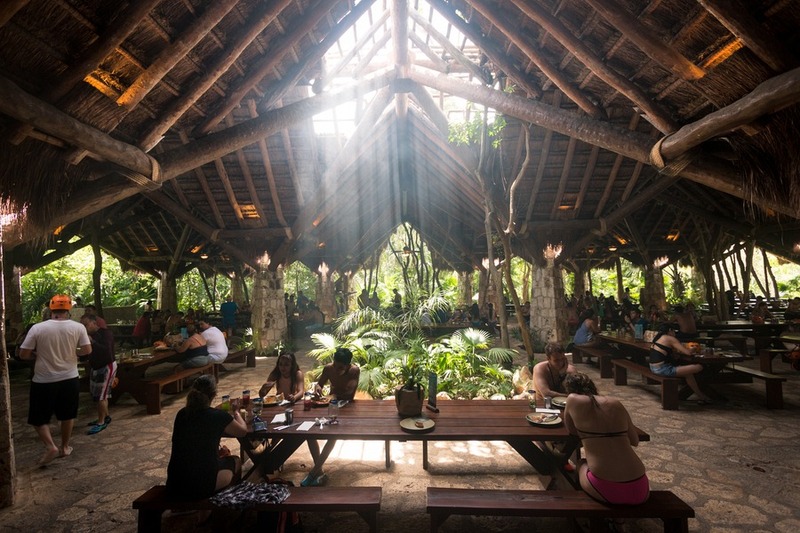 If you love using all your senses to experience nature, then this place is for you. It’s built for mental stimulation from the moment you walk through the doors. This park opened the day before we arrived so we were excited to be one of the first to check out this new world-class attraction. You’ll notice when you first walk into the circular hub with doors branching off in all directions that something crazy is going on. And if you don’t, well, a quick toilet stop will confirm. Toilet fountains, doors that get smaller, stalls with 15 toilet paper holders or stalls with a throne, the fun starts with the toilets. There’s nothing else quite like Xenses. 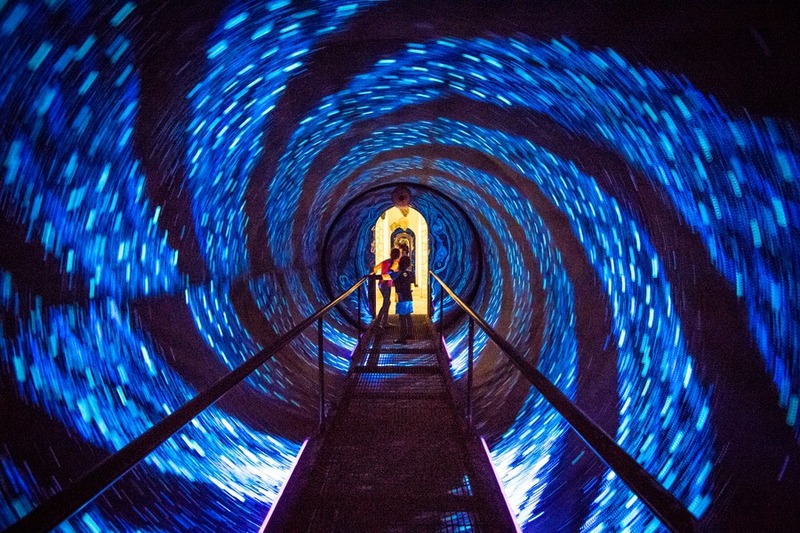 The best way to describe it is a whimsical Willy Wonka-esque world, but instead of being dedicated to chocolate, it’s designed for illusion and stimulating your senses. Our first test was the Xensatorium, where we made our way through several ecosystems completely in the dark. 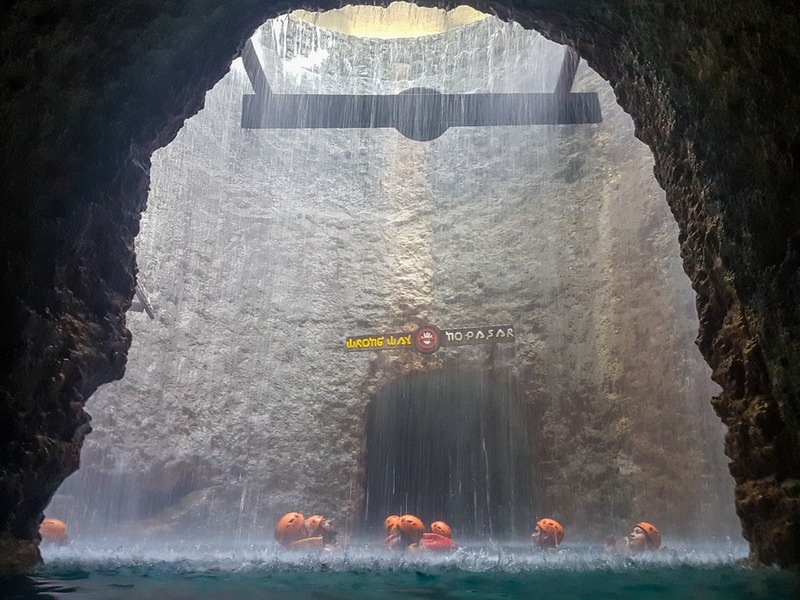 As we entered a cave only our sense of touch could guide us through a rainforest, desert, mountains and more. 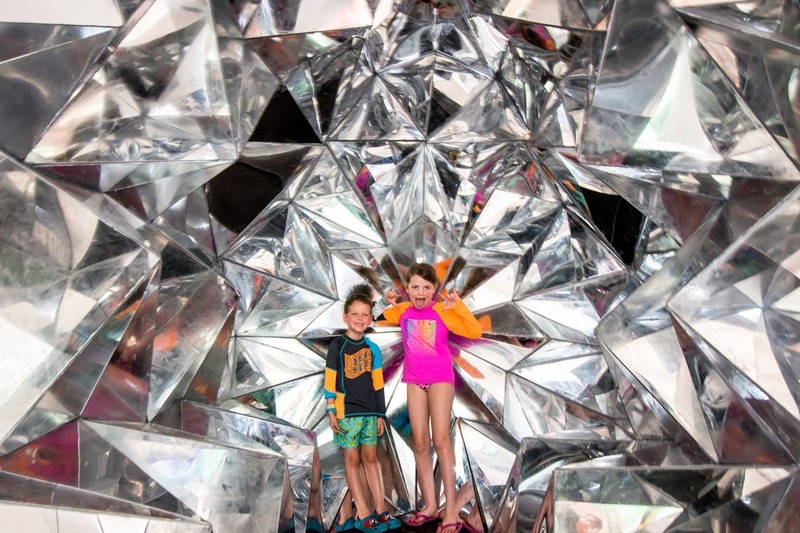 I thought the kids might be too scared, as even some other adults backed out, but both Miss 7 and Mr 6 managed wonderfully - and it’s a super educational experience on the 5 senses. Next Pueblo Town, where everything is up even when it’s down. This place might make you queasy. The town is built around a road on a downward slope, but all buildings are designed on a consistent opposite slant. 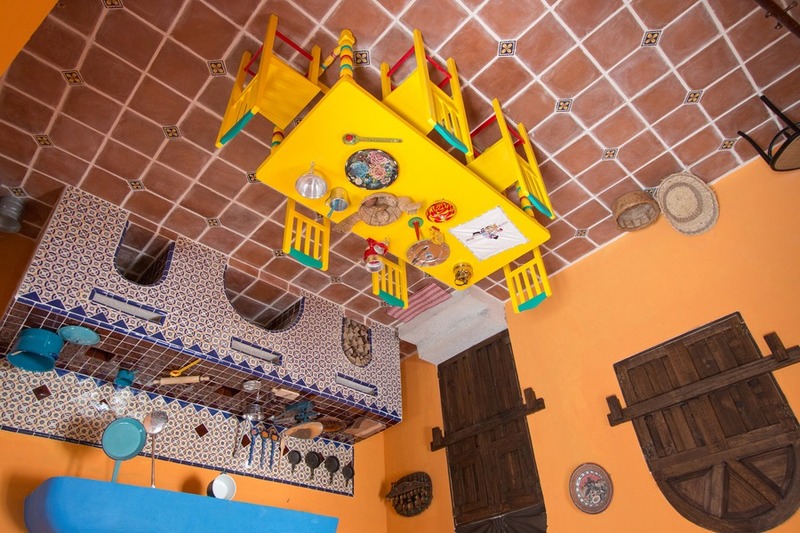 The end result is a feeling of discombobulation and vertigo. 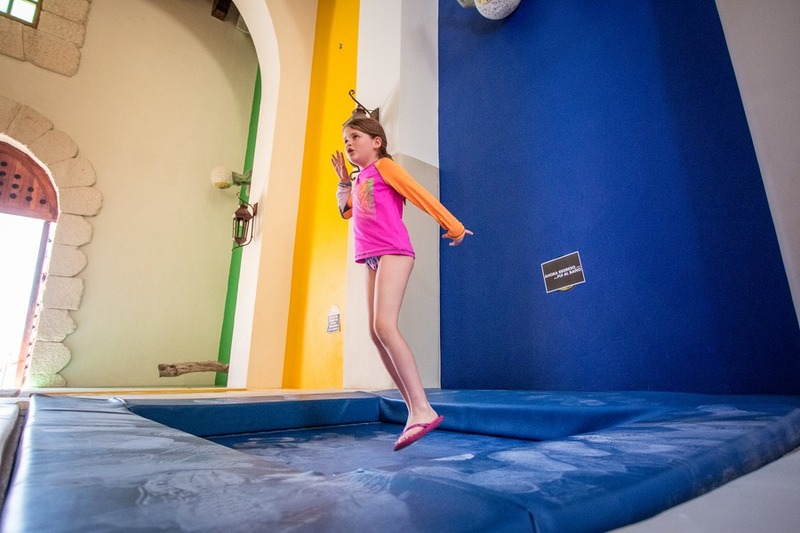 The road ends at a church with several fun hands-on activities and trampolines for the kids. 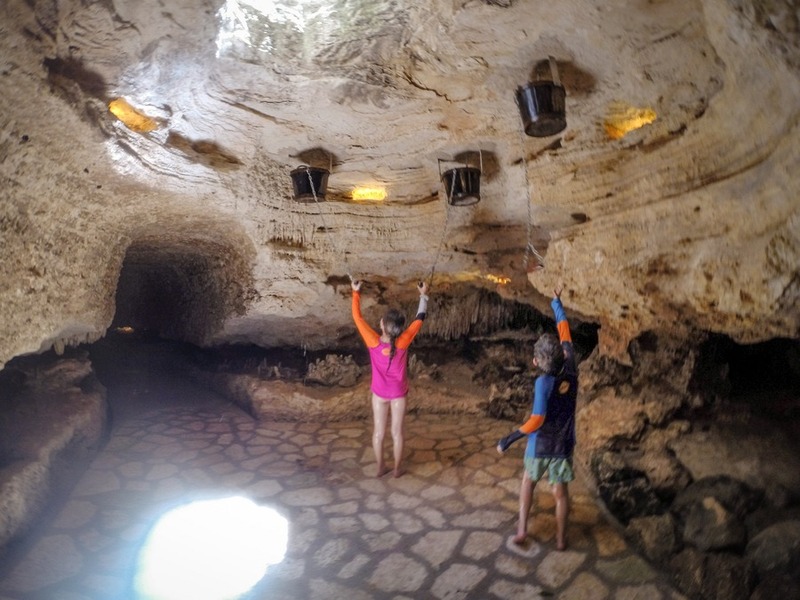 Through the church and into another all-natural cave, it’s time for a series of events designed to stimulate every sense. 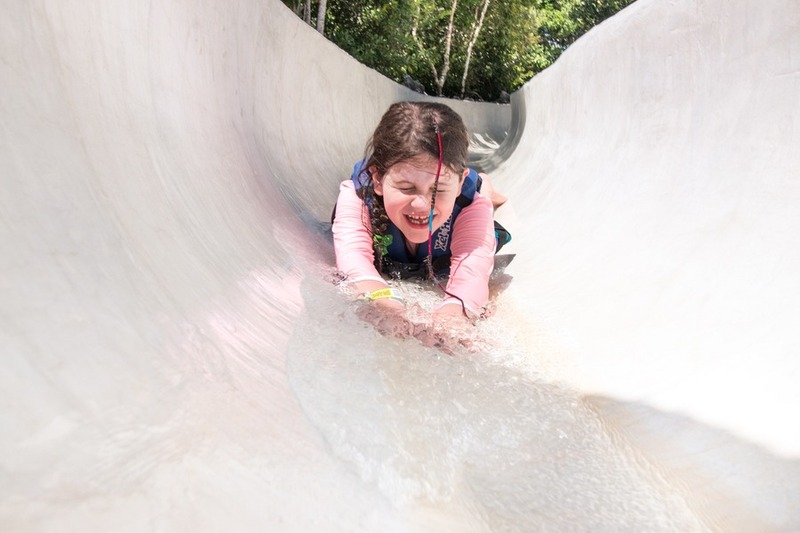 First, a long, fast waterslide. After that it’s time to fly like a bird in a zip line where you lay on your stomach. My 7-year-old was tall enough for this, but not my 6-year-old. The staff kept him safe while we took on the bird-flight challenge. Following the bird-flight we floated down a salt river and then played in a muddy one. The kids loved the mud - its slimy and slippery and got into every orifice. Thankfully the rain shower afterwards helped to clean up. Oh, and don’t forget the walk through the sauna cave to dry up afterwards. 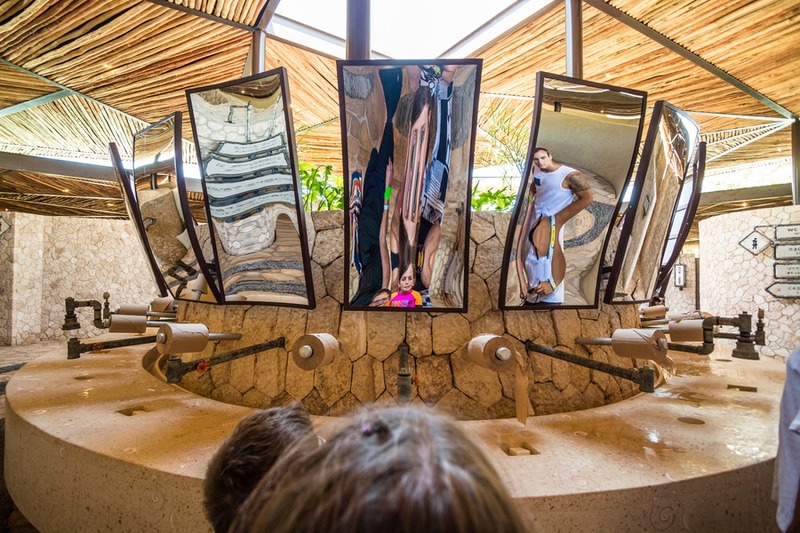 On top of all these different activities you will be amazed by the visual puns and optical illusions set up along the way to challenge your senses and sharpen your mind. Tip: You can easily finish this park in 4 hours. And there are 2 times to enter, in the morning at 9am or afternoon at 1pm. The morning is less popular so I encourage you to head at that time. The afternoon gets real busy. If you buy your tickets online at least 21 days in advance, you can save 15% off the regular prices. 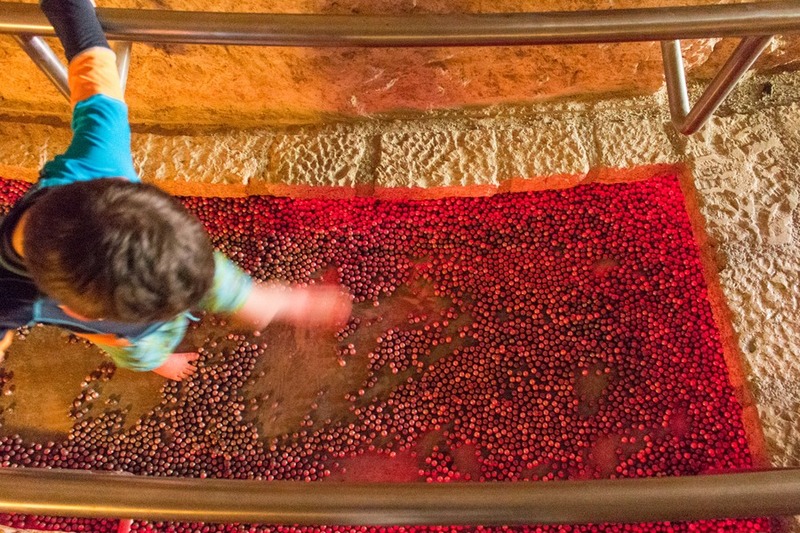 Tickets for children aged 5-11 are discounted at a rate of 50%. And children 0-4 are free! 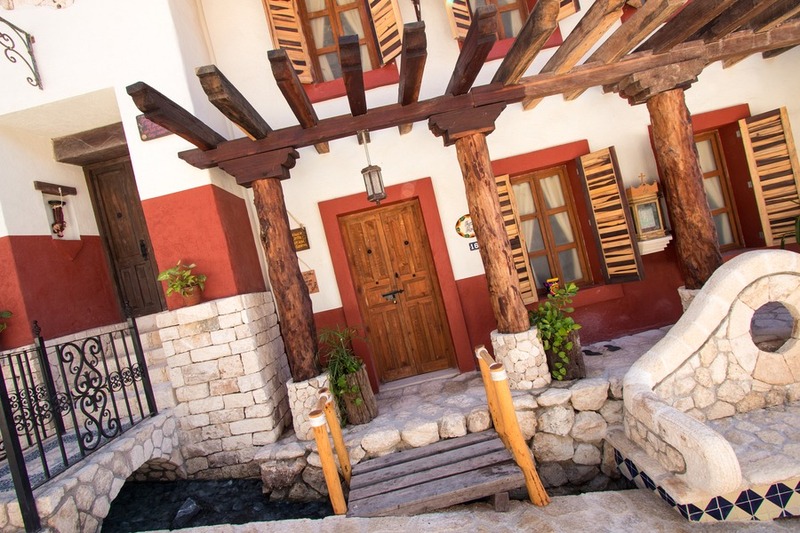 Secure payment can be made online using: Visa, Mastercard, Amex, Discover, Diners and Paypal. If you are like me 1 park will not be enough and you will want to try them all! 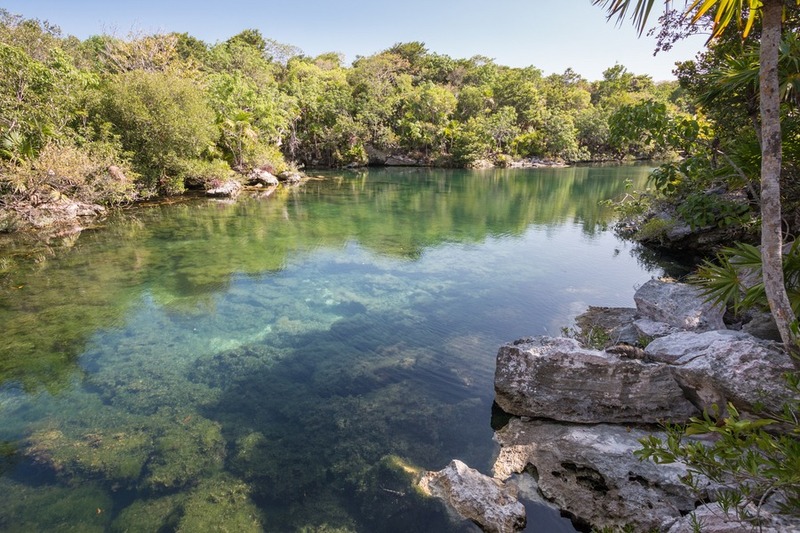 On top of that you can also check out Xichen, Xenotes and Xoximilco. 3 that are still on my to-do list. So tell me… which one do you think fits your vacation style? Or are you just going to Travel like a Bender and do all 4 on your next visit to Mexico? Share your comments below. Awesome pictures. I like reading your blog. Write more!